In our General Tips for Training Siberian Husky Puppies we touched upon feedback and how it should be immediate, clear, and consistent. Let’s now go in to more detail on how to achieve this. Feedback needs to be given as soon as the dog exhibits a behavior worthy of it, whether that be good behavior (demanding positive feedback) or bad behavior (demanding negative feedback). By ‘soon’ we mean within five seconds… i.e. immediate. Why so soon? Because you want the puppy to connect its own behavior to your response. The puppy is constantly exhibiting different behaviors: playing with this, wandering over there, lying down, getting up, and on it goes all day long. Siberian Huskies can get bored easily. If you wait just a few moments too long your puppy is probably already doing something else! Your response will either encourage the puppy to repeat the behavior, or discourage it. The words you say and the actions you take when issuing feedback should not leave any doubt as to the purpose; positive or negative. How you verbalise positive feedback (“Good boy”, “Good Girl”) should be distinctly different in sound to how you verbalise negative feedback (“Bad Dog”, “No”). Some trainers recommend using special words and avoid “Yes” and “No”, which are commonly said in everyday conversation. For example your Husky is likely to only hear “Good Boy” in the context of its own behavior, unless you also have a young child and using Good Boy to him as well! In which case an alternative phrase should be picked for the dog such as “Atta Boy”, “Yup-Yup”, or whatever you choose. Pick something and go with it for the life of the dog! “No” comes up often in everyday human speech that it would be wise to pick an alternative. Shibashake recommends “Ack-Ack” instead. By saying “Ack-Ack” instead of “No” your dog will associate that command exclusively with its own behavior and adjust accordingly. Siberians are smart dogs, but you still want to be consistent to remove any doubt as to the type or purpose of feedback. 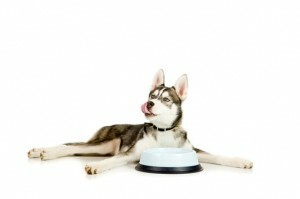 By using the same words each time your Husky will associate them with good or bad behavior. Just as important is to give the same feedback every single time. If your puppy likes chewing on your shoes, then never once let him or her get away with it! Repeat the same negative feedback words every single time. Don’t leave any doubt in the puppy’s mind that the bevior will be tolerated! Similarly if your puppy does good by sitting still while you plate up the food bowl, you can and should give positive, reinforcing feedback each time. Even if the puppy seems to have mastered self-control at feeding time, there is no reason to stop loving your dog for behaving! If you are using more than words for feedback, and you probably are, such as scratching behind the ears or giving the puppy a cuddle, make sure that is consistent as well. You don’t want to cuddle the puppy for positive feedback on one occasion, but then on another after negative feedback also cuddle because you feel sorry for the puppy. Consistency is the key. Armed with these three concepts of immediacy, clarity, and consistency you are well equipped to take on the challenges of raising a Siberian Husky puppy. Husky puppies can be a handful at times but with patience and dedication you will get there and very much enhance the bond between owner and pet.